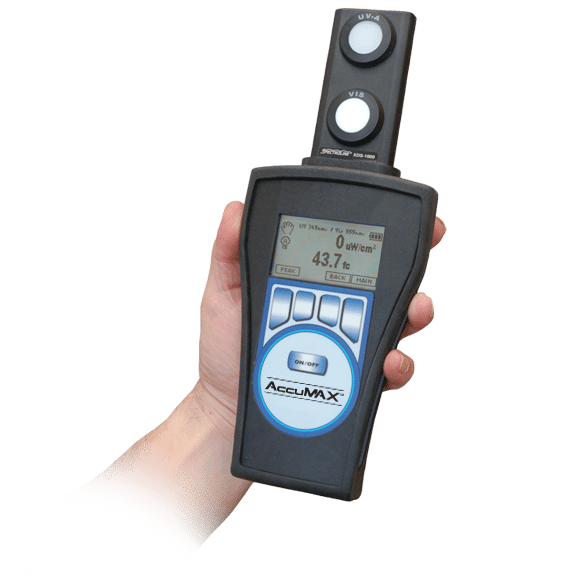 The AccuMAX™ XRP-3000 radiometer/photometer kit uses a dualwavelength UV-A/VIS sensor detector to measure both ultraviolet and visible light. Featuring automatic zeroing, integration and signal hold, the unit provides accurate readouts for UV, visible irradiance or radiance. The LCD readout features ±0.2% linearity with the sensor sending the linearity correction data to the readout unit during initial power up. 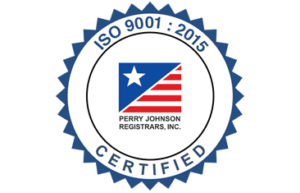 To ensure consistent results, sensors are designed with superior bandpass filters while optical stacks are assembled in Class 100 clean workstations. 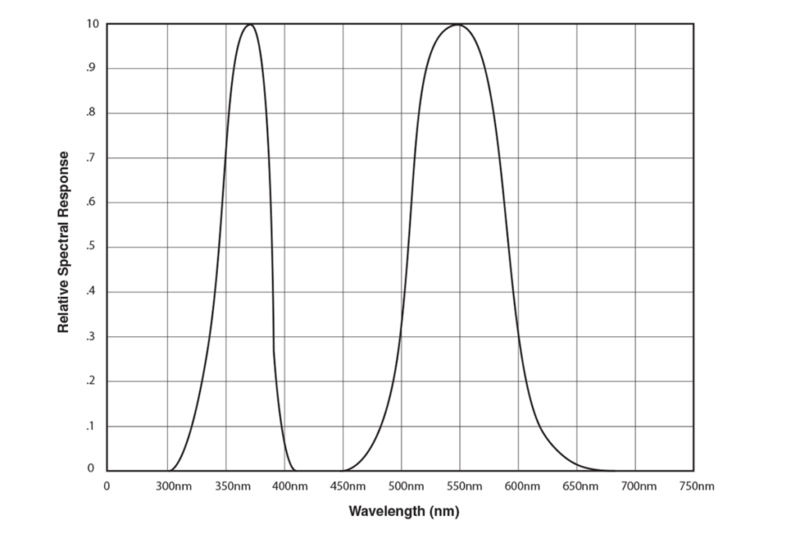 For precise spectral coverage, high-quality interference filters are used to resist degradation. The XRP-3000 meter’s microprocessor is the heart of its simplicity. Just four pressure-sensitive buttons on the readout unit’s membrane keypad offer an extensive array of advanced functions. For example, to subtract ambient light, the user need only press the “ZERO” button. This activates autozeroing, sets the value to 0 and displays relative readings of subsequent measurements. “HOLD” freezes the display thus obtained, while “INTG” displays the average UV intensity after integrating the UV energy over time. These functions and other user-selectable parameters are easily accessible through the software’s main and sub menus. The XRP-3000 features user-selectable, multilingual display settings.Choose from four languages: English, French, German and Spanish. The XRP-3000 radiometer is carefully quality-controlled to ensure that each unit has up-to-date calibration and meets stringent measurement requirements. Housed in a durable polycarbonate case, it features dependable solid-state electro-optical circuitry for long, trouble-free operation. 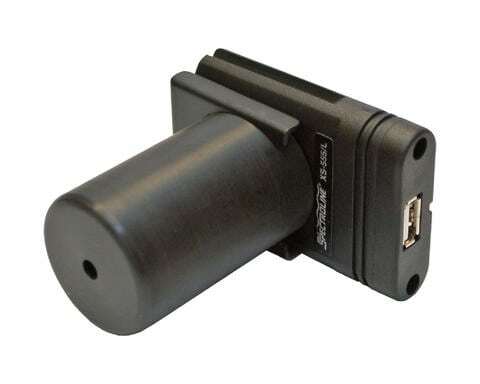 The XRP-3000 is compact, lightweight and battery-operated for convenient use in the factory, field or any other location where measurements need to be taken. A slide-out panel allows for easy replacement of the unit’s 9-volt batteries. 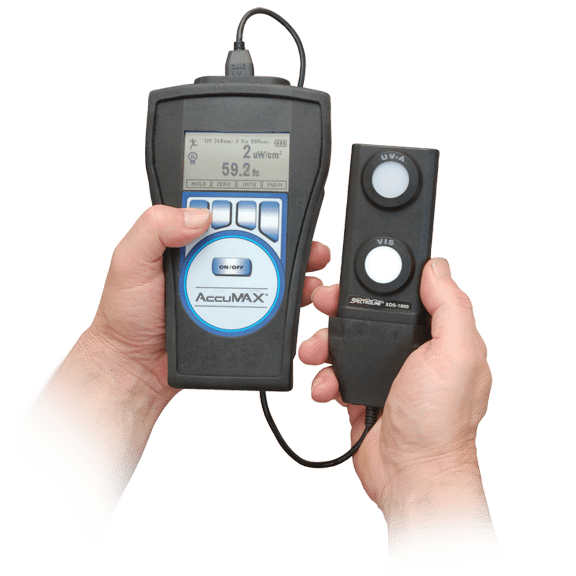 The perfect accessory for the AccuMAX Series meter. Ideal for technicians performing radiographic examinations. Meets ASTM E1742 standard. 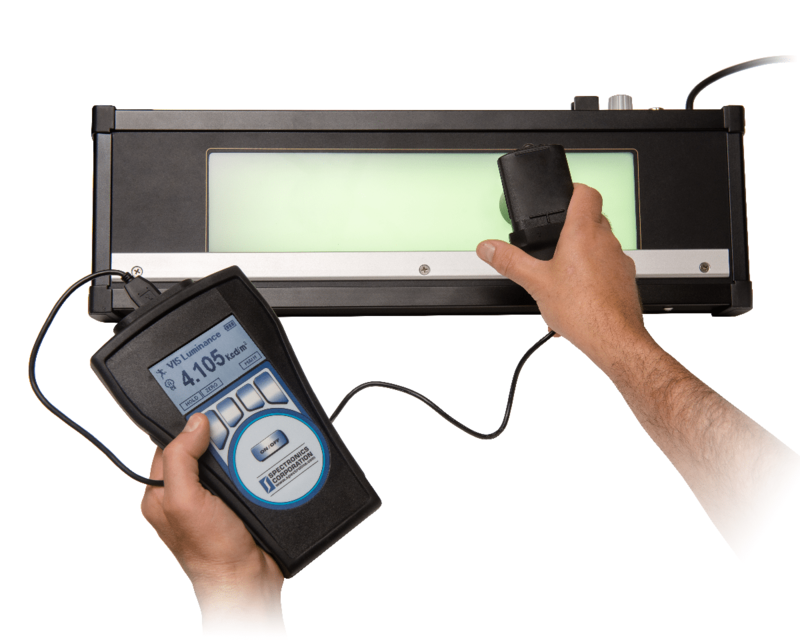 Luminance is typically used to measure uniformly radiating surfaces, such as backlit panels, film viewers and monitors. 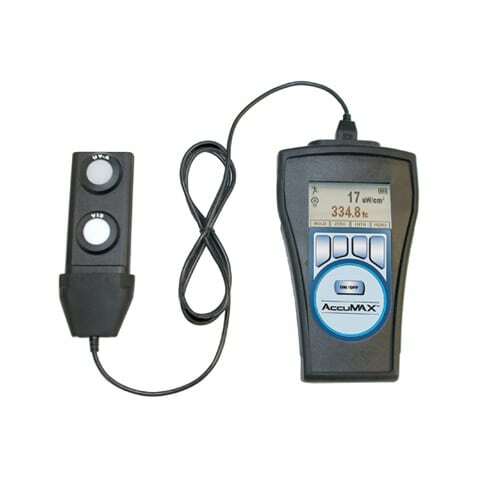 The AccuMAX XS-555/L luminance sensor detector measures the brightness of a visible light source and, unlike many competitive units, allows the user the choice of displaying the results in three distinct units of measure: candelas per square meter (cd/m2), candelas per square foot (cd/ft2) and footlamberts (fL).